This monsoon season eliminate mosquitoes with our natural Joss sticks in just few minutes. Made with 16 herbs and natural ingredients. With a touch of nature, Our Joss stick are sure to make you feel fresh. Explore our natural Joss stick & achieve the soothing atmosphere of completeness & freshness at your homes and offices. Bringing you the best of nature now to your doorstep. 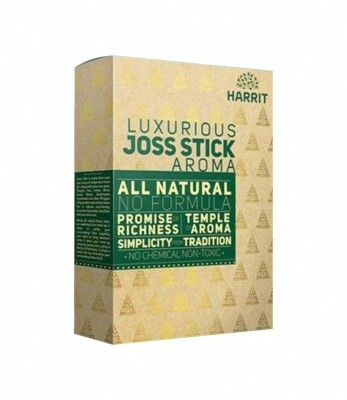 Experience the aroma of our all natural Joss sticks and feel the soothing effect it has on your senses. Please come for a free sample of Harrit joss Sticks at Matunga today. Experience the aroma that gives you the feel of nature with joss stick.